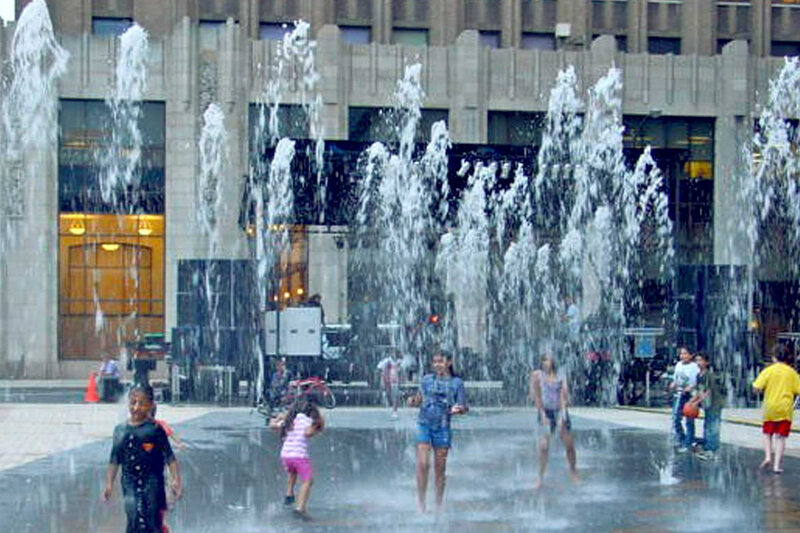 The Plaza at PPL Center is home to an interactive fountain. The fountain is open to the community. 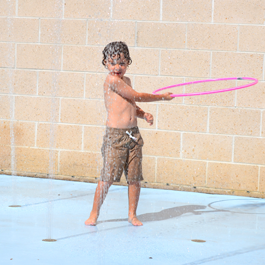 The interactive fountain is a favorite hot spot for families during the Summer. 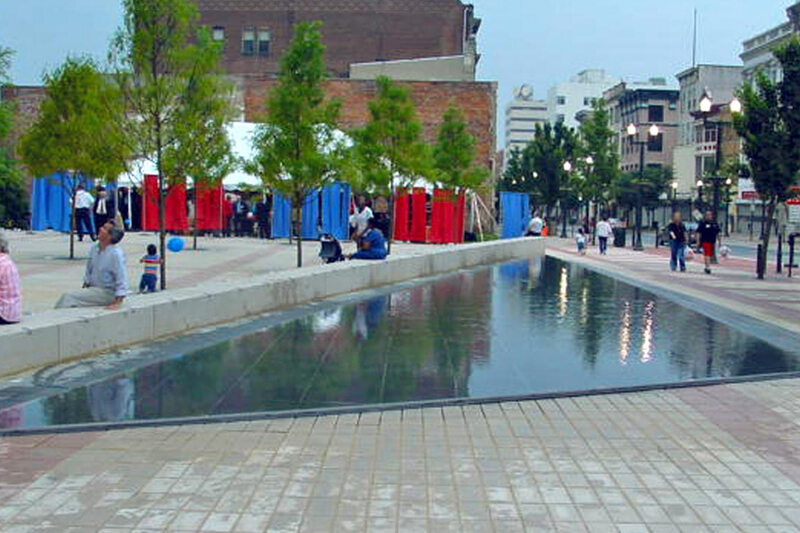 The fountain design was a geometric-based area in the middle of the entrance plaza. All the fountain equipment and water run off had to be contained to the area. 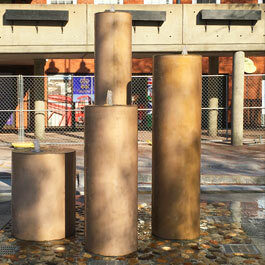 Delta Fountains manufactured and provided the bronze grates that covered the interactive jets. 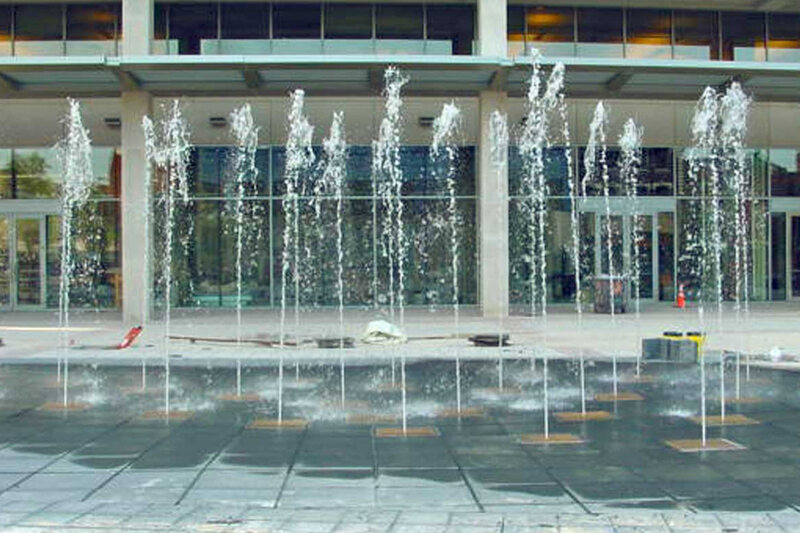 The Plaza at PPL Center features an interactive fountain with animated displays at varying heights. 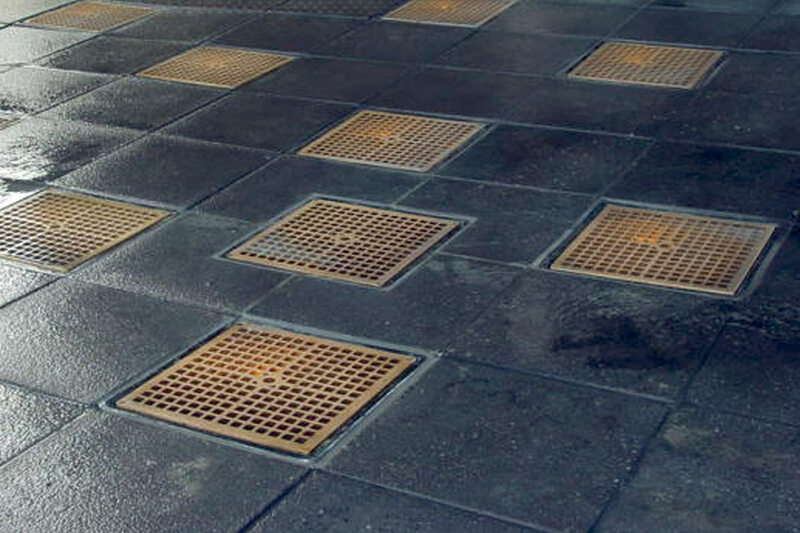 PPL Corporation, an Allentown-based energy company, wanted to transform their plaza into an area that welcomes the community. 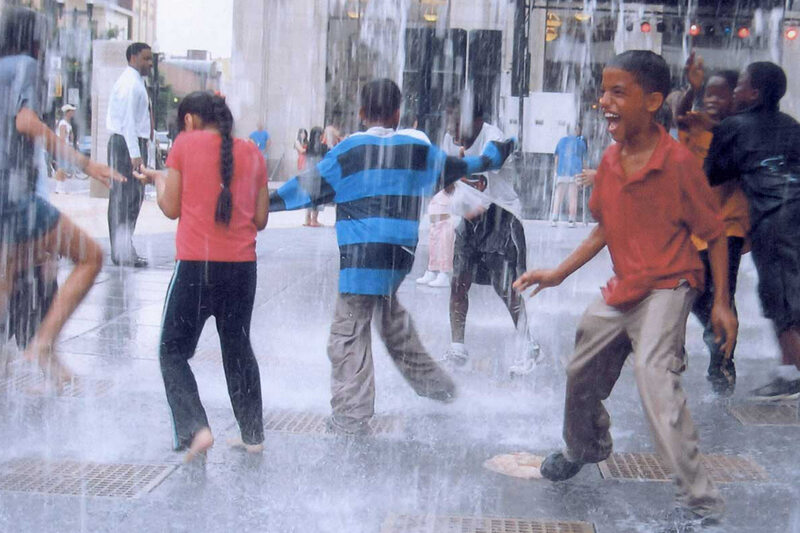 The plaza provides a gathering space with cooling fountain sprays for kids and an outdoor sitting area. 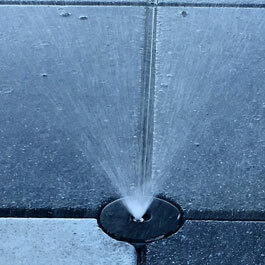 The project required highly complex integration of the fountain with the paving pattern. In addition, the design had to meet state requirements for water quality and Leadership in Energy and Environmental Design (LEED) compliance. 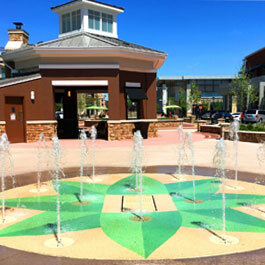 Delta Fountains provided electrical and mechanical equipment for the interactive fountain, including 32 fiberglass sumps, housing pop jet nozzles, and 75-watt submersible lights. 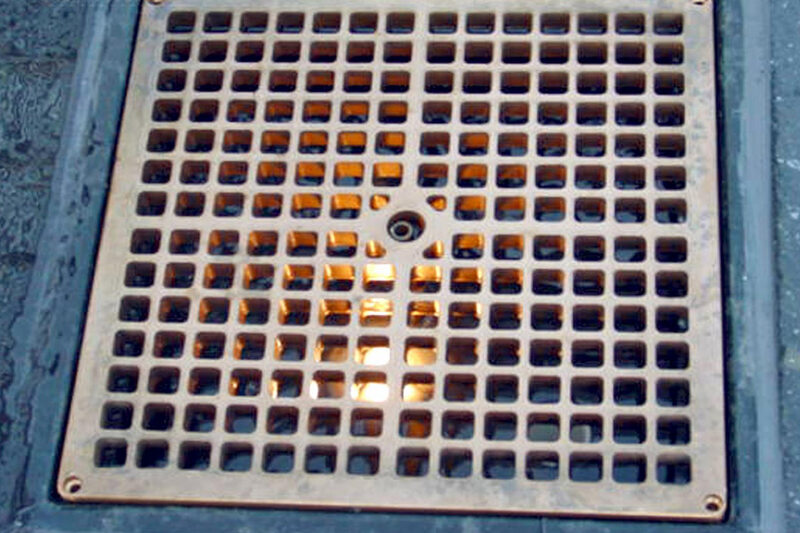 The sumps were installed into four separate animation zones, each with eight discharge points. The display ramps up and down with heights varying from zero to 10 feet in alternating programmed patterns. Delta also supplied subterranean collector tanks, equipment vaults, and a sophisticated water filtration and sterilization system.